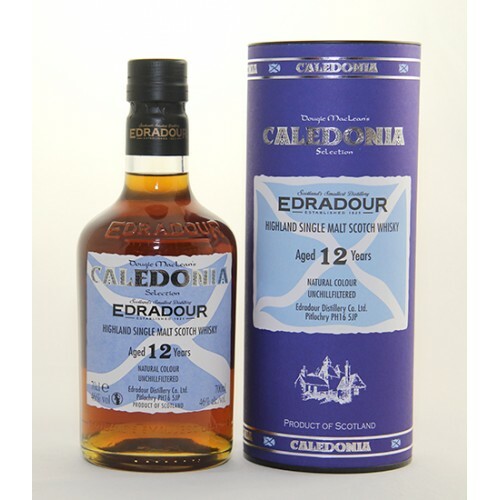 Caledonia Edradour is a special single cask release, selected by songwriter Dougie Maclean and named after his famous song, Caledonia. This handmade single malt is a small batch bottling. At a strength of 46% ABV and unchillfiltered, Caledonia retains maximum flavour with great depth and body. Initial maturation in Bourbon casks followed by an Oloroso Finish of 4-5 years. An old fashioned whisky for those looking for how whisky used to be made.